Senate Majority Leader Harry Reid announced Monday that the first procedural vote, not the final one, on the use of military force against Syria will occur “sometime” Wednesday. 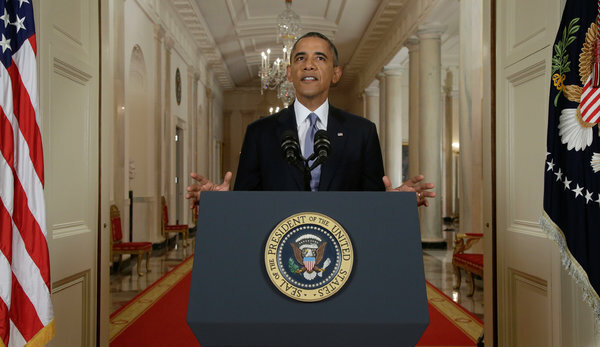 President Obama is planning to visit Capitol Hill on Tuesday, making his case on Syria face-to-face with senators. In his weekly address, President Obama makes the case for limited and targeted military action to hold the Assad regime accountable for its violation of international norms prohibiting the use of chemical weapons. The President realizes the American people are weary after a decade of war, which is why U.S. action would not include U.S. boots on the ground. Instead, the President has put forward a proposed authorization that is focused on his clearly stated objectives – preventing and deterring the use and proliferation of chemical weapons (CW) within, to, or from Syria, degrading the Assad regime’s capacity to carry out future CW attacks, and deterring this behavior in others who would otherwise feel emboldened to use such weapons. The President acknowledged it is not a decision he made lightly, but failing to respond to such actions poses a serious threat to our national security. Almost three weeks ago in Syria, more than 1,000 innocent people – including hundreds of children – were murdered in the worst chemical weapons attack of the 21st century. And the United States has presented a powerful case to the world that the Syrian government was responsible for this horrific attack on its own people. This was not only a direct attack on human dignity; it is a serious threat to our national security. There’s a reason governments representing 98 percent of the world’s people have agreed to ban the use of chemical weapons. Not only because they cause death and destruction in the most indiscriminate and inhumane way possible – but because they can also fall into the hands of terrorist groups who wish to do us harm. That’s why, last weekend, I announced that, as Commander in Chief, I decided that the United States should take military action against the Syrian regime. This is not a decision I made lightly. Deciding to use military force is the most solemn decision we can make as a nation. As the leader of the world’s oldest Constitutional democracy, I also know that our country will be stronger if we act together, and our actions will be more effective. That’s why I asked Members of Congress to debate this issue and vote on authorizing the use of force. What we’re talking about is not an open-ended intervention. This would not be another Iraq or Afghanistan. There would be no American boots on the ground. Any action we take would be limited, both in time and scope – designed to deter the Syrian government from gassing its own people again and degrade its ability to do so. I know that the American people are weary after a decade of war, even as the war in Iraq has ended, and the war in Afghanistan is winding down. That’s why we’re not putting our troops in the middle of somebody else’s war. But we are the United States of America. We cannot turn a blind eye to images like the ones we’ve seen out of Syria. Failing to respond to this outrageous attack would increase the risk that chemical weapons could be used again; that they would fall into the hands of terrorists who might use them against us, and it would send a horrible signal to other nations that there would be no consequences for their use of these weapons. All of which would pose a serious threat to our national security. That’s why we can’t ignore chemical weapons attacks like this one – even if they happen halfway around the world. And that’s why I call on Members of Congress, from both parties, to come together and stand up for the kind of world we want to live in; the kind of world we want to leave our children and future generations. PRESIDENT OBAMA: Good evening. 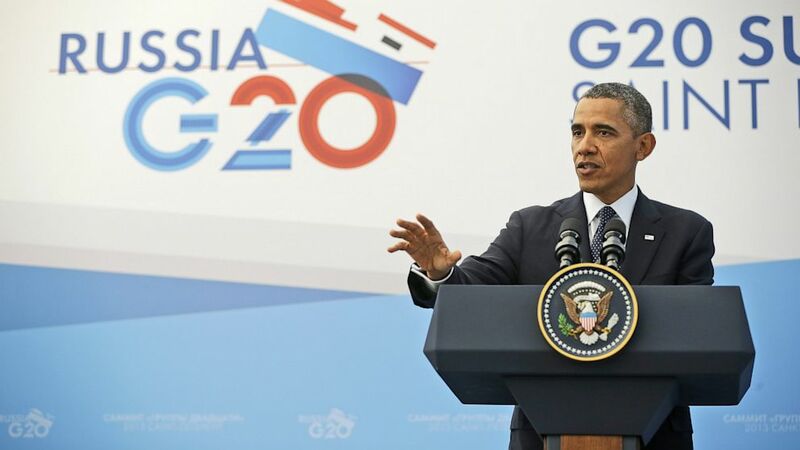 Let me begin by thanking President Putin and the people of St. Petersburg and the people of Russia for hosting this G20. This city has a long and storied history, including its heroic resistance and extraordinary sacrifices during the Second World War. So I want to take this opportunity to salute the people of St. Petersburg and express our gratitude for their outstanding hospitality. Moreover, the United States is a source of strength in the global economy. Our manufacturing sector is rebounding. New rules have strengthened our banks and reduced the chance of another crisis. We’re reducing our addiction to foreign oil and producing more clean energy. And as we learned today, over the past three and a half years, our businesses have created seven and a half million new jobs — a pace of more than 2 million jobs each year. We’ve put more people back to work, but we’ve also cleared away the rubble of crisis and laid the foundation for stronger and more durable economic growth. We’re also making progress in putting our fiscal house in order. Our deficits are falling at the fastest rate in 60 years. And as Congress takes up important decisions in the coming months, I’m going to keep making the case for the smart investments and fiscal responsibility that keep our economy growing, creates jobs and keeps the U.S. competitive. That includes making sure we don’t risk a U.S. default over paying bills we’ve already racked up. I’m determined that the world has confidence in the full faith and credit of the United States. As the world’s largest economy, our recovery is helping to drive global growth. And in the emerging markets in particular, there’s a recognition that a strong U.S. economy is good for their economies, too. Yet we came to St. Petersburg mindful of the challenges that remain. As it emerges from recession, Europe has an opportunity to focus on boosting demand and reducing unemployment, as well as making some of the structural changes that can increase long-term growth. Growth in emerging economies has slowed, so we need to make sure that we are working with them in managing this process. And I’m pleased that over the past two days we reached a consensus on how to proceed. We agreed that our focus needs to be on creating jobs and growth that put people back to work. We agreed on ways to encourage the investments in infrastructure that keep economies competitive. Nations agreed to continue pursuing financial reforms and to address tax evasion and tax avoidance, which undermines budgets and unfairly shifts the tax burden to other taxpayers. We’re moving ahead with our development agenda, with a focus on issues like food security and combating corruption. And I’m very pleased that the G20 nations agreed to make faster progress on phasing down certain greenhouse gases a priority. That’s an important step in our fight against climate change. So with that, let me take some questions. I’ve got my handy list. And I will start with Julie Pace from AP. Q: Thank you, Mr. President. You mentioned the number of countries that have condemned the use of chemical weapons, but your advisors also say you’re leaving this summit with a strong number of countries backing your call for military action. President Putin just a short time ago indicated it may only be a handful of countries, including France, Turkey, and Saudi Arabia. Can you tell us publicly what countries are backing your call for military action? And did you change any minds here? President Putin also mentioned your meeting with him earlier today. Can you tell us how that came about, and did you discuss both Syria and Edward Snowden? Thank you. PRESIDENT OBAMA: I believe that there will be a statement issued later this evening — although hopefully in time for you guys to file back home — that indicates some of the additional countries that are making public statements. Last night we had a good discussion. And I want to give President Putin credit that he facilitated I think a full airing of views on the issue. And here’s how I would describe it — without giving the details or betraying the confidence of those who were speaking within the confines of the dinner. It was unanimous that chemical weapons were used — a unanimous conclusion that chemical weapons were used in Syria. There was a unanimous view that the norm against using chemical weapons has to be maintained, that these weapons were banned for a reason and that the international community has to take those norms seriously. I would say that the majority of the room is comfortable with our conclusion that Assad — the Assad government was responsible for their use. Obviously this is disputed by President Putin. But if you polled the leaders last night, I am confident that you’d get a majority who said it is most likely, we are pretty confident that the Assad regime used them. Where there is a division has to do with the United Nations. There are a number of countries that, just as a matter of principle, believe that if military action is to be taken it needs to go through the U.N. Security Council. 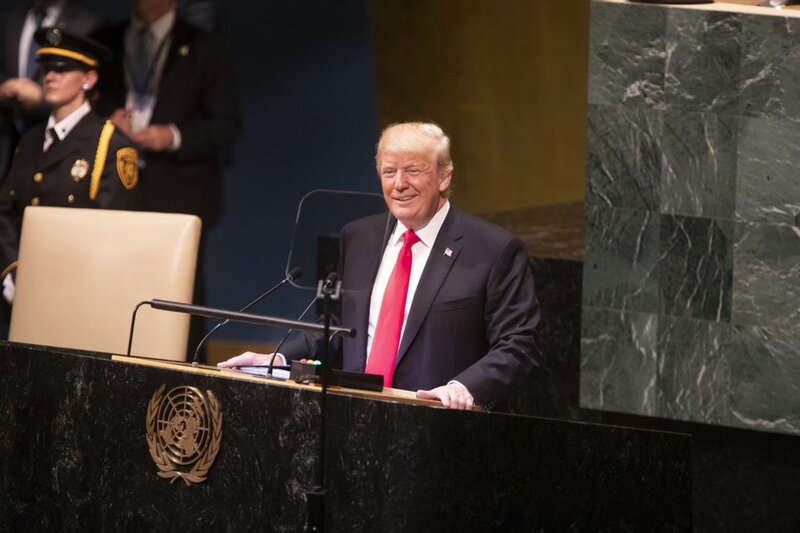 There are others — and I put myself in this camp, as somebody who’s a strong supporter of the United Nations, who very much appreciates the courage of the investigators who had gone in and looks forward to seeing the U.N. report, because I think we should try to get more information, not less in this situation — it is my view and a view that was shared by a number of people in the room that given Security Council paralysis on this issue, if we are serious about upholding a ban on chemical weapons use, then an international response is required and that will not come through Security Council action. And that’s where I think the division comes from. And I respect those who are concerned about setting precedence of action outside of a U.N. Security Council resolution. I would greatly prefer working through multilateral channels and through the United Nations to get this done. But ultimately, what I believe in even more deeply, because I think that the security of the world and — my particular task — looking out for the national security of the United States, requires that when there’s a breech this brazen of a norm this important, and the international community is paralyzed and frozen and doesn’t act, then that norm begins to unravel. Over 1,400 people were gassed. Over 400 of them were children. This is not something we’ve fabricated. This is not something that we are using as an excuse for military action. As I said last night, I was elected to end wars, not start them. I’ve spent the last four and a half years doing everything I can to reduce our reliance on military power as a means of meeting our international obligations and protecting the American people. But what I also know is, is that there are times where we have to make hard choices if we’re going to stand up for the things that we care about. And I believe that this is one of those times. And if we end up using the U.N. Security Council not as a means of enforcing international norms and international law, but rather as a barrier to acting on behalf of international norms and international law, then I think people, rightly, are going to be pretty skeptical about the system and whether it can work to protect those children that we saw in those videos. And sometimes the further we get from the horrors of that, the easier it is to rationalize not making tough choices. And I understand that. This is not convenient. This is not something that I think a lot of folks around the world find an appetizing set of choices. But the question is, do these norms mean something? And if we’re not acting, what does that say? If we’re just issuing another statement of condemnation, or passing resolutions saying “wasn’t that terrible,” if people who decry international inaction in Rwanda and say how terrible it is that there are these human rights violations that take place around the world and why aren’t we doing something about it — and they always look to the United States — why isn’t the United States doing something about this, the most powerful nation on Earth? Why are you allowing these terrible things to happen? And then, if the international community turns around when we’re saying it’s time to take some responsibility and says, well, hold on a second, we’re not sure — that erodes our ability to maintain the kind of norms that we’re looking at. Now, I know that was a lengthy answer and you had a second part to your question. The conversation I had with President Putin was on the margins of the plenary session and it was a candid and constructive conversation, which characterizes my relationship with him. 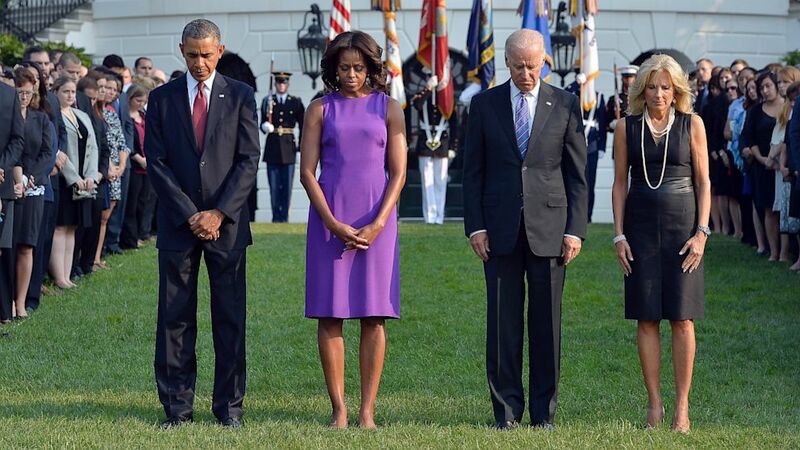 I know, as I’ve said before, everybody is always trying to look for body language and all that. But the truth of the matter is that my interactions with him tend to be very straightforward. We discussed Syria, and that was primarily the topic of conversation. Mr. Snowden did not come up beyond me saying that — reemphasizing that where we have common interests I think it’s important for the two of us to work together. And on Syria, I said — listen, I don’t expect us to agree on this issue of chemical weapons use, although it is possible that after the U.N. inspectors’ report, it may be more difficult for Mr. Putin to maintain his current position about the evidence. But what I did say is that we both agree that the underlying conflict can only be resolved through a political transition as envisioned by the Geneva I and Geneva II process. And so we need to move forward together. Even if the U.S. and Russia and other countries disagree on this specific issue of how to respond to chemical weapons use, it remains important for us to work together to try to urge all parties in the conflict to try to resolve it. Because we’ve got 4 million people internally displaced. We’ve got millions of people in Turkey, Jordan, Lebanon who are desperate, and the situation is only getting worse. And that’s not in anybody’s interest. It’s not in America’s interest. It’s not in Russia’s interest. It’s not in the interest of the people in the region, and obviously it’s not in the interest of Syrians who’ve seen their lives completely disrupted and their country shattered. So that is going to continue to be a project of ours. And that does speak to an issue that has been raised back home around this whole issue. You’ve heard some people say, well, we think if you’re going to do something, you got to do something big, and maybe this isn’t big enough or maybe it’s too late — or other responses like that. And what I’ve tried to explain is we may not solve the whole problem, but this particular problem of using chemical weapons on children, this one we might have an impact on, and that’s worth acting on. That’s important to us. And what I’ve also said is, is that as far as the underlying conflict is concerned, unless the international community is willing to put massive numbers of troops on the ground — and I know nobody is signing up for that — we’re not going to get a long-term military solution for the country. And that is something that can only come about I think if — as different as our perspectives may be — myself, Mr. Putin and others are willing to set aside those differences and put some pressure on the parties on the ground. Q: On the resolution to authorize the use of force, one of the big challenges right now isn’t just Republicans, but it’s from some of your loyal Democrats. It seems that the more they hear from classified briefings that the less likely they are to support you. If the full Congress doesn’t pass this, will you go ahead with the strike? And also, Senator Susan Collins, one of the few Republicans who breaks through her party to give you support at times — she says, “What if we execute the strike and then Assad decides to use chemical weapons again? Do we strike again?” And many Democrats are asking that as well. How do you answer the question? PRESIDENT OBAMA: Well, first of all, in terms of the votes and the process in Congress, I knew this was going to be a heavy lift. I said that on Saturday when I said we’re going to take it to Congress. Our polling operations are pretty good — I tend to have a pretty good sense of what current popular opinion is. And for the American people, who have been through over a decade of war now, with enormous sacrifice in blood and treasure, any hint of further military entanglements in the Middle East are going to be viewed with suspicion. And that suspicion will probably be even stronger in my party than in the Republican Party, since a lot of the people who supported me remember that I opposed the war in Iraq. And what’s also true is, is that that experience with the war in Iraq colors how people view this situation not just back home in America, but also here in Europe and around the world. That’s the prism through which a lot of people are analyzing the situation. So I understand the skepticism. I think it is very important, therefore, for us to work through systematically making the case to every senator and every member of Congress. And that’s what we’re doing. I dispute a little bit, Brianna, the notion that people come out of classified briefings and they’re less in favor of it. I think that when they go through the classified briefings, they feel pretty confident that, in fact, chemical weapons were used and that the Assad regime used them. Where you will see resistance is people being worried about a slippery slope and how effective a limited action might be. And our response, based on my discussions with our military, is that we can have a response that is limited, that is proportional — that when I say “limited,” it’s both in time and in scope — but that is meaningful and that degrades Assad’s capacity to deliver chemical weapons not just this time, but also in the future, and serves as a strong deterrent. Now, is it possible that Assad doubles down in the face of our action and uses chemical weapons more widely? I suppose anything is possible, but it wouldn’t be wise. I think at that point, mobilizing the international community would be easier, not harder. I think it would be pretty hard for the U.N. Security Council at that point to continue to resist the requirement for action, and we would gladly join with an international coalition to make sure that it stops. So one of the biggest concerns of the American people — certain members of Congress may have different concerns; there may be certain members of Congress who say we’ve got to do even more, or claim to have previously criticized me for not hitting Assad and now are saying they’re going to vote no, and you’ll have to ask them exactly how they square that circle. But for the American people at least, the concern really has to do with understanding that what we’re describing here would be limited and proportional and designed to address this problem of chemical weapons use and upholding a norm that helps keep all of us safe. And that is going to be the case that I try to make not just to Congress, but to the American people over the coming days. Q: Just a follow-up — must you have full cooperation from Congress? What if the Senate votes yes and the House votes no — it’s go ahead with the strike? PRESIDENT OBAMA: Brianna, I think it would be a mistake for me to jump the gun and speculate, because right now I’m working to get as much support as possible out of Congress. But I’ll repeat something that I said in Sweden when I was asked a similar question. I did not put this before Congress just as a political ploy or as symbolism. I put it before Congress because I could not honestly claim that the threat posed by Assad’s use of chemical weapons on innocent civilians and women and children posed a imminent, direct threat to the United States. In that situation, obviously, I don’t worry about Congress. We do what we have to do to keep the American people safe. I could not say that it was immediately, directly going to have an impact on our allies. Again, in those situations I would act right away. This wasn’t even a situation like Libya, where you’ve got troops rolling towards Benghazi and you have a concern about time in terms of saving somebody right away. This was an event that happened. My military assured me that we could act today, tomorrow, a month from now; that we could do so proportionately, but meaningfully. And in that situation, I think it is important for us to have a serious debate in the United States about these issues. Because these are going to be the kinds of national security threats that are most likely to occur over the next five, 10 years. They’re very few countries who are going to go at us directly. We have to be vigilant, but our military is unmatched. Those countries that are large and powerful like Russia or China, we have the kind of relationship with them where we’re not getting in conflicts of that sort. At least over the last several decades, there’s been a recognition that neither country benefits from that kind of great power conflict. So the kinds of national security threats that we’re going to conflict — they’re terrorist threats; they’re failed states; they are the proliferation of deadly weapons. And in those circumstances, a President is going to have to make a series of decisions about which one of these threats over the long term starts making us less and less safe. And where we can work internationally, we should. There are going to be times, though, where, as is true here, the international community is stuck for a whole variety of political reasons. And if that’s the case, people are going to look to the United States and say, what are you going to do about it? And that’s not a responsibility that we always enjoy. There was a leader of a smaller country who I’ve spoken to over the last several days who said, I know don’t envy you because I’m a small country and nobody expects me to do anything about chemical weapons around the world. They know I have no capacity to do something. And it’s tough because people do look to the United States. And the question for the American people is, is that a responsibility that we’re willing to bear. And I believe that when you a limited, proportional strike like this — not Iraq, not putting boots on the ground; not some long, drawn-out affair; not without any risks, but with manageable risks — that we should be willing to bear that responsibility. Q: Thank you, Mr. President. Good morning — or good evening. I think it’s still “good morning” back home. Q: I think we’re all relieved. I want to follow up on Brianna’s question, because it seems these members of Congress are simply responding to their constituents and you’re seeing a lot these town halls, and it seems as if the more you pressure your case, the more John Kerry presses the case on your behalf, the more the opposition grows. And maybe it’s just — or the more the opposition becomes vocal. Why do you think you’ve struggled with that? And you keep talking about a limited mission. We have a report that indicates you’ve actually asked for an expanded list of targets in Syria, and one military official told NBC News — he characterized it as “mission creep.” Can you respond to that report? PRESIDENT OBAMA: That report is inaccurate. I’m not going to comment on operational issues that are sourced by some military official. One thing I’ve got a pretty clear idea about is what I talked with the Chairman of the Joint Chiefs of Staff about, and what we have consistently talked about is something limited and proportional that would degrade Mr. Assad’s capabilities. In terms of opposition, Chuck, I expected this. This is hard, and I was under no illusions when I embarked on this path. But I think it’s the right thing to do. I think it’s good for our democracy. We will be more effective if we are unified going forward. Q: You believe it’s all politics? 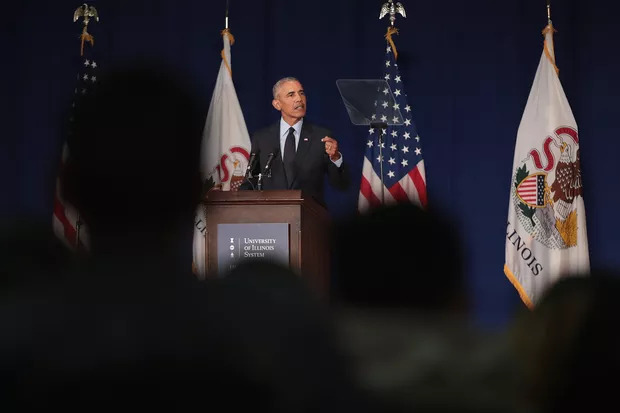 PRESIDENT OBAMA: No, I said “some.” But what I have also said is, is that the American people have gone through a lot when it comes to the military over the last decade or so. And so I understand that. And when you starting talking about chemical weapons and their proliferation, those images of those bodies could sometimes be forgotten pretty quickly — the news cycle moves on. Frankly, if we weren’t talking about the need for an international response right now, this wouldn’t be what everybody would be asking about. There would be some resolutions that were being proffered in the United Nations and the usual hocus-pocus, but the world and the country would have moved on. So trying to impart a sense of urgency about this — why we can’t have an environment in which over time people start thinking we can get away with chemical weapons use — it’s a hard sell, but it’s something I believe in. And as I explained to Brianna, in this context, me making sure that the American people understand it I think is important before I take action. Q: Thank you, Mr. President. One of your closest allies in the House said yesterday, “When you’ve got 97 percent of your constituents saying no, it’s kind of hard to say yes.” Why should members of Congress go against the will of their constituents and support your decision on this? And I still haven’t heard a direct response to Brianna’s question — if Congress fails to authorize this, will you go forward with an attack on Syria? Q: It’s a pretty basic question. PRESIDENT OBAMA: — I was going to give you a different answer? No. (Laughter.) What I have said, and I will repeat, is that I put this before Congress for a reason. I think we will be more effective and stronger if, in fact, Congress authorizes this action. I’m not going to engage in parlor games now, Jonathan, about whether or not it’s going to pass when I’m talking substantively to Congress about why this is important, and talking to the American people about why this is important. Now, with respect to Congress and how they should respond to constituents and concerns, I do consider it part of my job to help make the case and to explain to the American people exactly why I think this is the right thing to do. And it’s conceivable that at the end of the day I don’t persuade a majority of the American people that it’s the right thing to do. And then, each member of Congress is going to have to decide, if I think it’s the right thing to do for America’s national security and the world’s national security, then how do I vote? And that’s what you’re supposed to do as a member of Congress. Ultimately, you listen to your constituents, but you’ve also got to make some decisions about what you believe is right for America. And that’s the same for me as President of the United States. There are a whole bunch of decisions that I make that are unpopular, as you well know. But I do so because I think they’re the right thing to do. And I trust my constituents want me to offer my best judgment. That’s why they elected me. That’s why they reelected me even after there were some decisions I made that they disagreed with. And I would hope that members of Congress would end up feeling the same way. The last point I would make: These kinds of interventions, these kinds of actions are always unpopular because they seem distant and removed. And I want to make sure I’m being clear. I’m not drawing a analogy to World War II other than to say when London was getting bombed it was profoundly unpopular both in Congress and around the country to help the British. It doesn’t mean it wasn’t the right thing to do. Just means people are struggling with jobs and bills to pay, and they don’t want their sons or daughters put in harm’s way, and these entanglements far away are dangerous and different. To bring the analogy closer to home, the intervention in Kosovo — very unpopular; but ultimately I think it was the right thing to do. And the international community should be glad that it came together to do it. When people say that it is a terrible stain on all of us that hundreds of thousands of people were slaughtered in Rwanda, well, imagine if Rwanda was going on right now, and we asked should we intervene in Rwanda. I think it’s fair to say that it probably wouldn’t poll real well. So, typically, when any kind of military action is popular it’s because either there’s been a very clear, direct threat to us — 9/11 — or an administration uses various hooks to suggest that American interests were directly threatened — like in Panama or Grenada. And sometimes, those hooks are more persuasive than others, but typically, they’re not put before Congress. And again, we just went through something pretty tough with respect to Iraq. So all that I guess provides some context for why you might expect people to be resistant. Q: But your Deputy National Security Advisor said that it is not your intention to attack if Congress doesn’t approve it. Is he right? PRESIDENT OBAMA: I don’t think that’s exactly what he said. But I think I’ve answered the question. Q: Thank you, Mr. President. Those of us who remember covering your campaign remember you saying that militarily when the United States acts, it’s not just important what it does but how it goes about doing it, and that even when America sets its course, it’s important to engage the international community and listen to different ideas even as it’s pursuing that action. I wonder if you leave here and return to Washington, seeing the skepticism there, hearing it here, with any different ideas that might delay military action. For example, some in Congress have suggested giving the Syrian regime 45 days to sign the Chemical Weapons Convention, get rid of its chemical stockpiles — do something that would enhance international sense of accountability for Syria but delay military action. Are you, Mr. President, looking at any of these ideas? Or are we on a fast track to military action as soon as Congress renders its judgment one way or the other? PRESIDENT OBAMA: I am listening to all these ideas. And some of them are constructive. And I’m listening to ideas in Congress, and I’m listening to ideas here. But I want to repeat here: My goal is to maintain the international norm on banning chemical weapons. I want that enforcement to be real. I want it to be serious. I want people to understand that gassing innocent people, delivering chemical weapons against children is not something we do. It’s prohibited in active wars between countries. We certainly don’t do it against kids. And we’ve got to stand up for that principle. If there are tools that we can use to ensure that, obviously my preference would be, again, to act internationally in a serious way and to make sure that Mr. Assad gets the message. I’m not itching for military action. Recall, Major, that I have been criticized for the last couple of years by some of the folks who are now saying they would oppose these strikes for not striking. And I think that I have a well-deserved reputation for taking very seriously and soberly the idea of military engagement. So we will look at these ideas. So far, at least, I have not seen ideas presented that as a practical matter I think would do the job. But this is a situation where part of the reason I wanted to foster debate was to make sure that everybody thought about both the ramifications of action and inaction. Q: So currently, the only way to enforce this international norm is militarily, and even giving the Assad regime extra time would not achieve your goals? PRESIDENT OBAMA: What I’m saying, Major, is that so far what we’ve seen is a escalation by the Assad regime of chemical weapons use. You’ll recall that several months ago I said we now say with some confidence that at a small level Assad has used chemical weapons. We not only sent warnings to Assad, but we demarched — meaning we sent a strong message through countries that have relationships with Assad — that he should not be doing this. And rather than hold the line, we ended up with what we saw on August 21st. So this is not as if we haven’t tested the proposition that the guy, or at least generals under his charge, can show restraint when it comes to this stuff. And they’ve got one of the largest stockpiles in the world. But I want to emphasize that we continue to consult with our international partners. I’m listening to Congress. I’m not just doing the talking. And if there are good ideas that are worth pursuing then I’m going to be open to it. I will take the last question. Tangi — AFP. Q: Thank you, Mr. President. Yesterday night you had two unscheduled bilateral meetings with your Brazilian and Mexican counterparts after they voiced very strong concerns about being allegedly targeted by the NSA. What was your message to them? And do the revelations — the constant stream of revelations over this summer make it harder for you to build confidence with your partners in international forums such as this one? PRESIDENT OBAMA: I did meet with President Rousseff as well as President Peña Nieto, of Brazil and Mexico, respectively, to discuss these allegations that were made in the press about the NSA. I won’t share with you all the details of the conversation, but what I said to them is consistent with what I’ve said publicly. The United States has an intelligence agency, and our intelligence agency’s job is to gather information that’s not available through public sources. If they were available through public sources then they wouldn’t be an intelligence agency. In that sense, what we do is similar to what countries around the world do with their intelligence services. But what is true is that we are bigger, we have greater capabilities. The difference between our capabilities and other countries probably tracks the differences in military capabilities between countries. And what I’ve said is that because technology is changing so rapidly, because these capabilities are growing, it is important for us to step back and review what it is that we’re doing, because just because we can get information doesn’t necessarily always mean that we should. There may be costs and benefits to doing certain things, and we’ve got to weigh those. And I think that, traditionally, what’s happened over decades is the general assumption was, well, you just — whatever you can get you just kind of pull in, and then you kind of sift through later and try to figure out what’s useful. The nature of technology and the legitimate concerns around privacy and civil liberties means that it’s important for us on the front end to say, all right, are we actually going to get useful information here? And, if not — or how useful is it? If it’s not that important, should we be more constrained in how we use certain technical capabilities. And then, what I assured President Rousseff and President Peña Nieto is, is that they should take — that I take these allegations very seriously. I understand their concerns; I understand the concerns of the Mexican and Brazilian people, and that we will work with their teams to resolve what is a source of tension. Now, the last thing I’d say about this, though, is just because there are tensions doesn’t mean that it overrides all the incredibly wide-ranging interests that we share with so many of these countries. And there’s a reason why I went to Brazil. There’s a reason why I invited President Rousseff to come to the United States. Brazil is an incredibly important country. It is a amazing success story in terms of a transition from authoritarianism to democracy. It is one of the most dynamic economies in the world. And, obviously, for the two largest nations in the hemisphere to have a strong relationship, that can only be good for the people of our two countries, as well as the region. The same is true of Mexico, one of our closest friends, allies, and neighbors. And so we will work through this particular issue. It does not detract from the larger concerns that we have and the opportunities that we both want to take advantage of. All right? Thank you very much, everybody. Thank you, St. Petersburg.